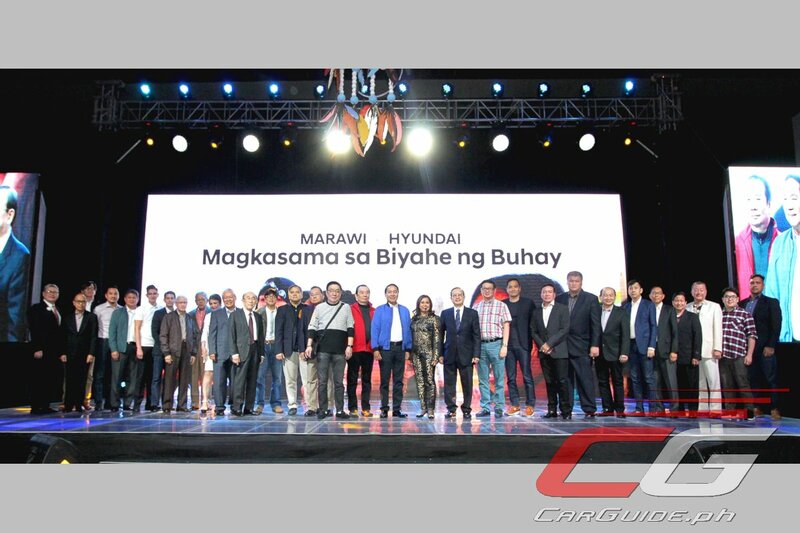 Hyundai Asia Resources, Inc. (HARI), the official distributor of Hyundai passenger cars and commercial vehicles the Philippines, announced the launch of its P 100-million fund to rehabilitate Marawi City. On December 6, 2017, HARI together with its 42 dealers pledged their Manifesto of Support to Marawi City responding to the call for economic and inclusive development, and declaring their steadfast commitment to nation-building. The pledge was borne out of a concerted initiative from its dealers and affiliates, recognizing the assistance needed for Mindanao. Focused on infrastructure, education, and livelihood, the fund aims to support the government’s long-term programs to rebuild the city reeling from the impact of disaster and warfare. This will also serve as the seed fund to kickstart more donations in the coming year. “More than rehabilitation, we are dedicated to empower Marawi. It is only vital that we educate the youth, enable women of their potential, and more importantly, equip a community to be resilient in the face of challenges. Hyundai is one with the government in this vision, and we look forward to this partnership in the years ahead,” HARI President and CEO Ma. Fe Perez-Agudo stated. The fund aims to address one of Marawi’s urgent needs—rebuilding schools and enlisting new scholars. Moreover, Hyundai will carry out programs for women to pursue livelihoods as well as personal upliftment. The drive for aid and recovery has always been at the heart of Hyundai. Through its corporate social responsibility arm, HARI Foundation, the company donated P 50 million for Yolanda relief and rehabilitation efforts in Leyte, Iloilo, and Cebu in 2013. Its dealerships all over the country managed to raise funds in aid of provinces struck by the super typhoon. “There is no better way to end the year than this – that our growth as a company will result in helping communities and rebuilding lives. We are encouraged by the Filipinos’ trust in us, and this drives us further not only as a business but also a partner in the country’s path to progress,” Ms. Perez-Agudo said. Hats off to Hyundai. This fund will go a long way if spent right. GOVERNMENT OFFICIALS PLEASE. As Filipinos we ask you, PLEASE DO NOT use the Marawi Rehabilitation as a source of another corruption.